If you’re a fan of the Singapore Night Festival, get your cameras ready because a similar event is coming your way soon. From 19 to 28 Jan, this year’s rendition of the Light to Night Festival promises to be even more spectacular than the first. The best part? Admission to the event is absolutely free. 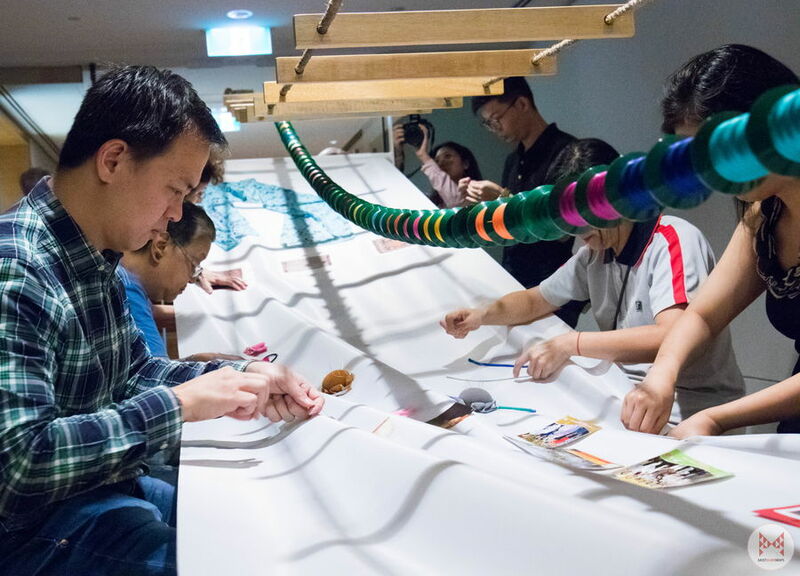 MustShareNews brings you an exclusive sneak peek of 4 interactive indoor installations, hosted at the National Gallery. “Do Not Touch” signs are a common sight in museums and galleries all over the world. However, this warning is certainly not applicable in the first exhibition we were brought to — appropriately named, The House is Crumbling. 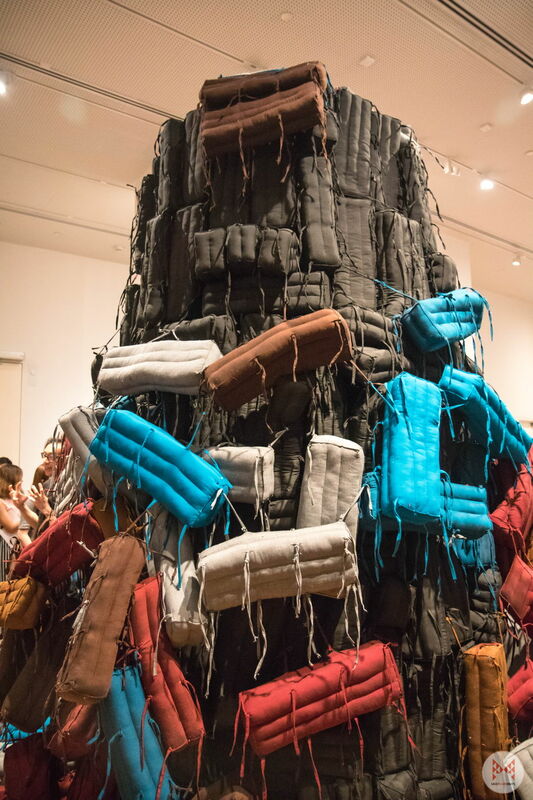 At the entrance, we were greeted by towering mountains of pillows with summits far beyond our reach. 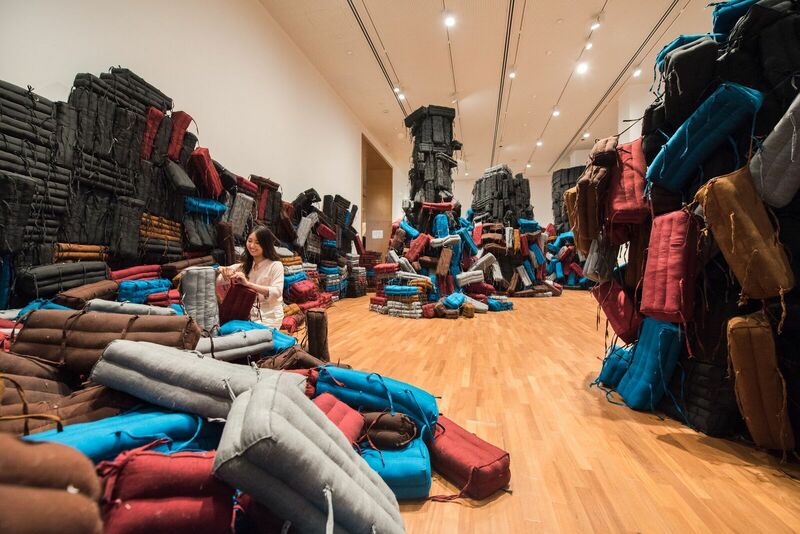 The room – that previously housed Yayoi Kusama’s Obliteration Room – was littered with overwhelming stacks of loose pillows. We’ll admit the temptation to free-fall into the mounds of pillows was real. But we had to keep our day jobs so we tried to remain professional. 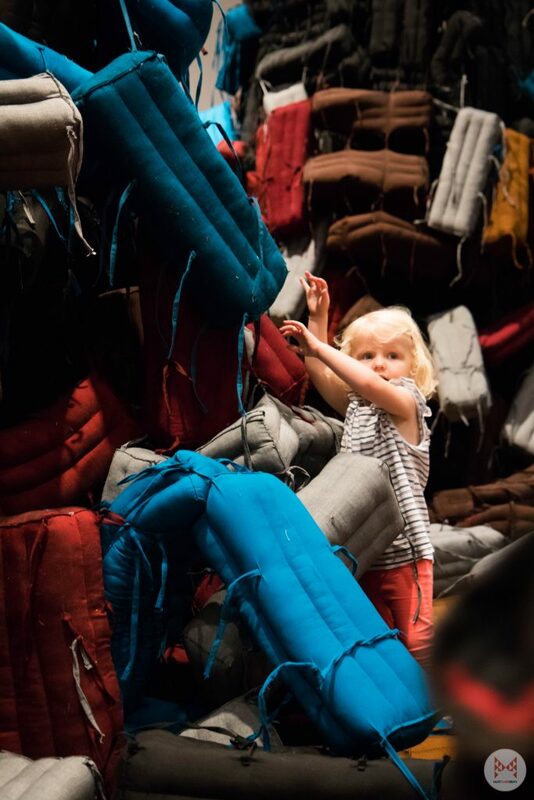 Visitors are invited to continuously alter the surroundings however they please — making a mess of things is in fact, highly encouraged. According to the National Gallery, the artist wished to examine how people “interact with space and the surroundings”. What was infinitely more fascinating was how the exhibition compelled visitors to contribute to the experience. We were literally as shook as children in front of a ball pit by the time we completed the exhibit. Inspired by globetrotters who bring small mementos of countries they’ve been to, A Stitch in Time features a long piece of cloth that visitors are invited to sew something significant onto. We didn’t manage to try it out for ourselves yet as the experience is still being set up. 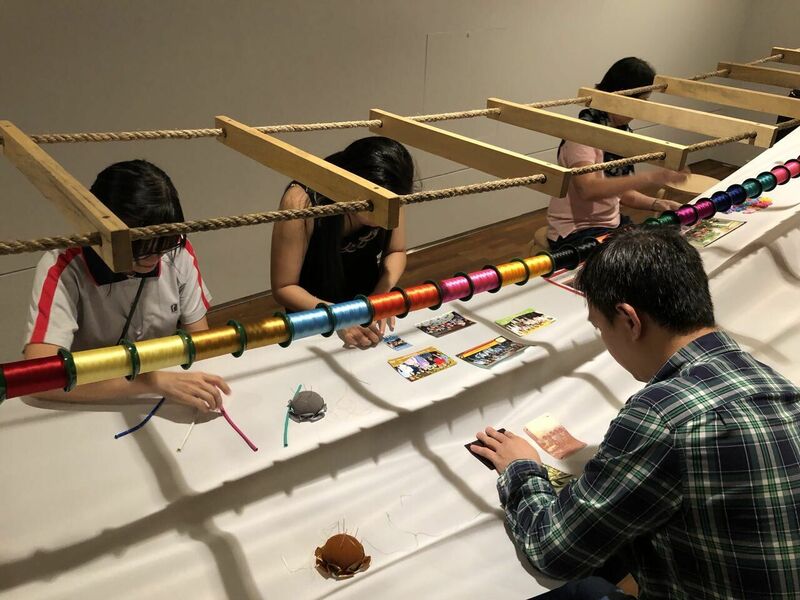 However, there were already people adding their stitchwork to the mix, perhaps to get the ball rolling when the exhibit opens. We can’t deny that sewing does require some time and patience. But if you’re into leaving a literal lasting impression on art exhibits, why not give this a try? Brought to you by the same people who developed the Digital Light Canvas at Marina Bay Sands, this interactive digital display features characters projected upon an endless wall. 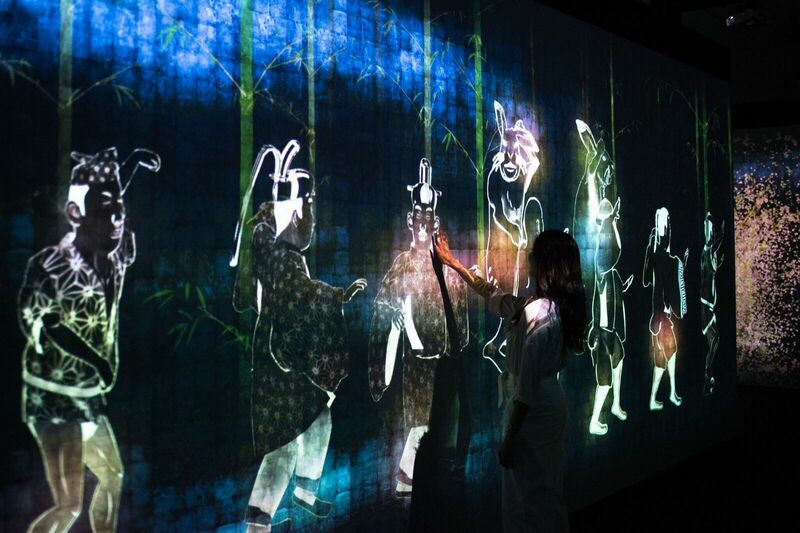 According to teamLab, the fictional characters may stroll leisurely along the digital canvas as they are not bound by physical means. Aside from the #deep meaning this entails, visitors should watch out for individual characters reacting to movements we make in the real world. 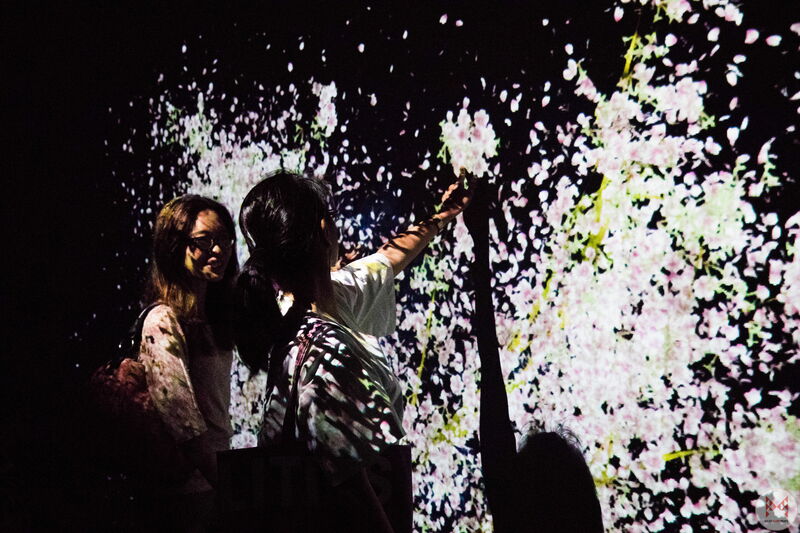 teamLab hopes to blur the lines between the digital and real world, by doing just that. 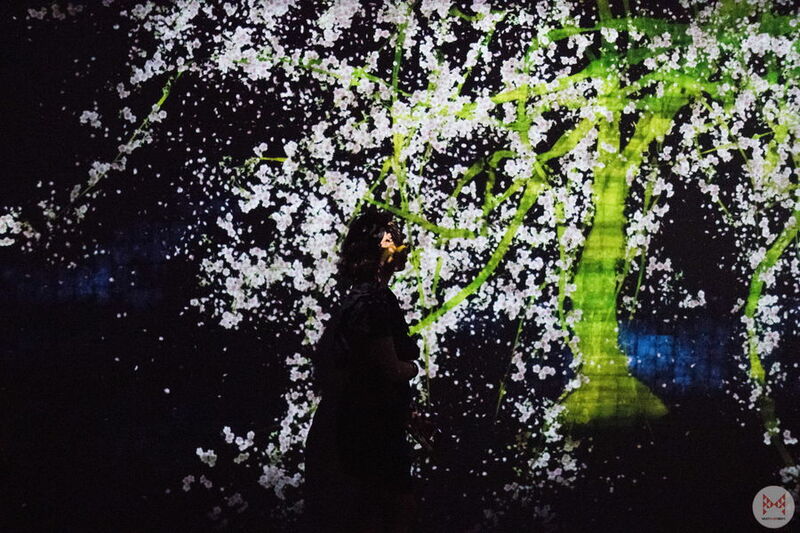 We tried it out and actually found ourselves lost within the immersive world. Don’t forget to linger long enough to catch digital showers of cherry blossoms that “grow” as more people congregate in front of the display. If you’re looking to freshen up your Instagram feed, this is a definite must-see. Last but not least, we were treated to a hair-raising exhibit by a local artist, Ho Tzu Nyen. 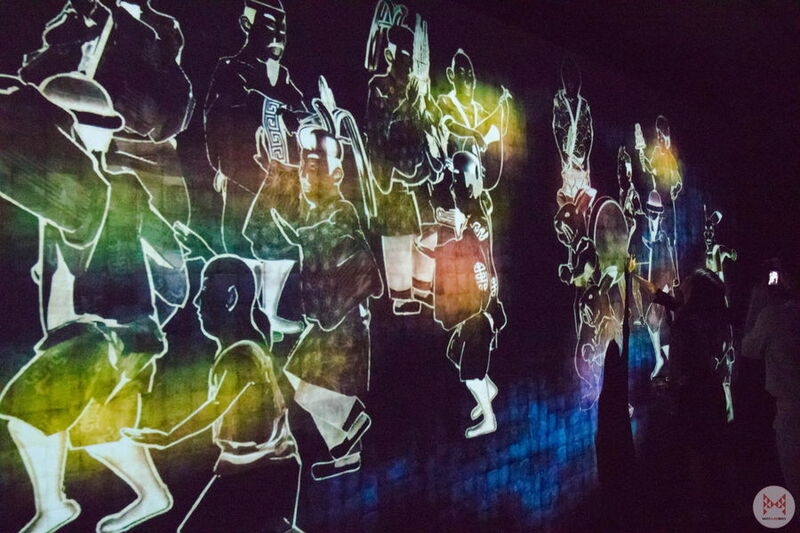 One or Several Tigers is a large multimedia installation using principles of shadow puppetry and 3D animation. 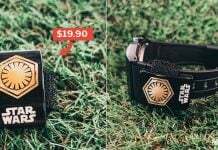 The material presented was clearly not for the faint of heart. The visuals of tigers – and tiger-like behaviour – juxtaposed against humans was extremely intense. This multi-sensory installation was also peppered with audio effects straight out of a thriller movie. We recommend that parents with young children in particular should probably give this a miss, as it may be a tad too overwhelming for them. But for those looking to experience a gripping presentation of Singapore’s early struggles, they will surely not be disappointed. 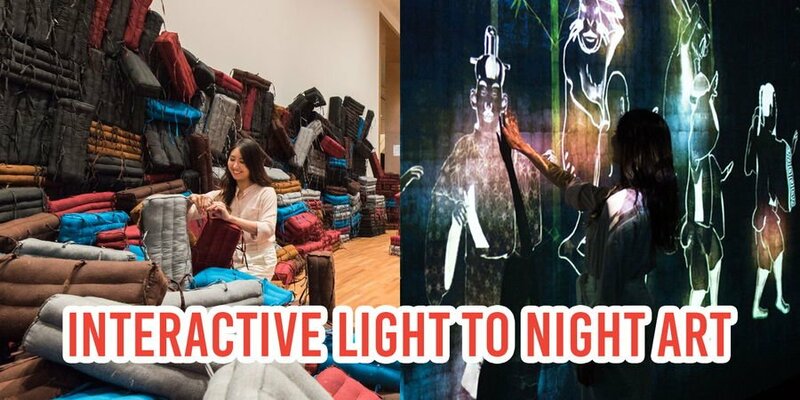 Light to Night Festival‘s melding of sensory stimulation and technology, will etch lasting memories in everyone’s minds, far beyond pretty pictures on social media. We already can’t wait to see what’s in store for the other outdoor installations debuting in the Civic District come opening day. For now, this is an open jio to head down to the National Gallery from 10am to 7pm, 19 to 28 Jan, for a glimpse of pure wonder. We hope your Insta-feed is ready for 2 weeks worth of alluring snapshots of all that Light to Night Festival 2018 has to offer. Featured image from National Gallery.